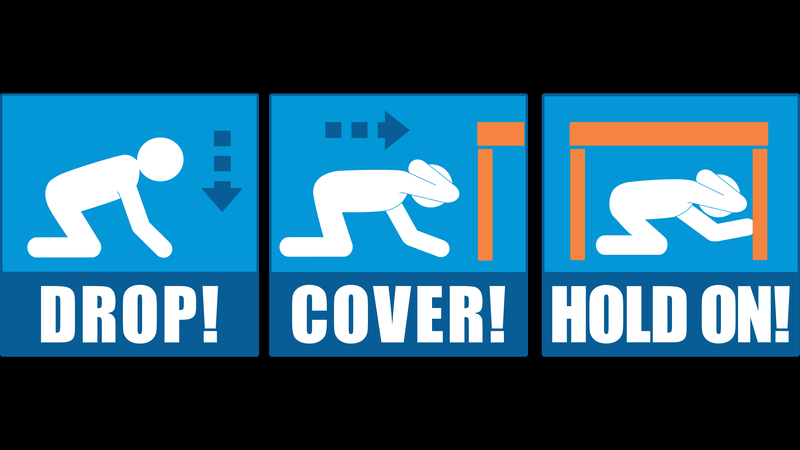 More than 300,000 people in Illinois are registered for a worldwide earthquake drill next month that encourages participants to drop, cover and hold – actions that could help you survive a quake. With less than a month before the drill, the Illinois Emergency Management Agency and municipal and county officials are encouraging Illinois residents to register. The drill focuses on the drop, cover and ahold on actions: drop to the ground, take cover under a table or other piece of heavy furniture and then hold on until the shaking stops. Some of the most powerful earthquakes to ever occur in the U.S. happened in the winter of 1811-12 in the New Madrid Seismic Zone, which reaches into southwestern Illinois. That series of earthquakes lasted for several months, and shaking was felt as far away as the East Coast. According to IEMA, a similar earthquake today could cause catastrophic damage in a region that is much more developed and populated than in the early 1800s. Schools, businesses, government agencies, families and others can register to participate in the drill on the event’s website. Registered participants will receive additional information about the drill and earthquake preparedness. Although the international drill takes place Oct. 19, individual drills can be conducted anytime within two weeks of that date. Additional information about the earthquake risk in Illinois and steps to take before, during and after an earthquake is available here. Feb. 7: The Illinois Emergency Management Agency warns Southern Illinoisans to be prepared for earthquakes. Just how great is the risk? Jan. 25: The increasing frequency of tornadoes, and a new study on gun violence. Those stories more from the world of science with Rabiah Mayas.